With an economic growth model that prioritizes manufacturing and exports, China has evolved to be a key supplier of high-quality products and services for global oil and gas companies. To address demand from ConocoPhillips’ global business units for products and services sourced from China, in October 2014 the company established ConocoPhillips Business Service (Beijing) Co., Ltd. The group is positioned to support sourcing activities for all business units. As of the end of 2017, the group had contributed to around $15 million in savings, primarily for Asia-Pacific projects such as APLNG. The group also provides transactional support for all business unit around the globe. The major activities include e-commerce supplier enablement, material cataloging, outlining vendor agreement, executing purchase orders, expediting, contract management etc. 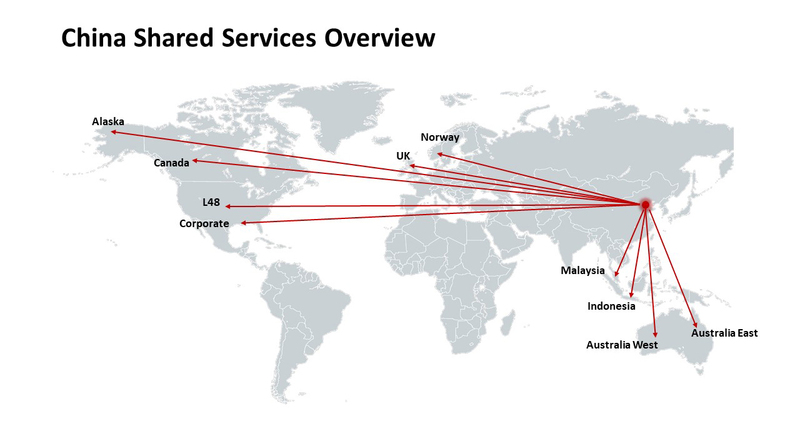 So far, the group has successfully supported transactional activities for the US Lower 48, Canada, UK, Norway, Australia, Indonesia and Malaysia.